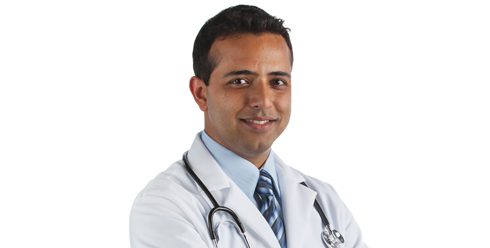 Adeel Sabir, MD, was born and raised in Lahore, Pakistan and also spent part of his childhood in New York City. After graduation from medical school he moved to Boston where he joined the prestigious NCI Research Fellowship in Cancer Radiology program at the Beth Israel Deaconess Medical Center, a teaching hospital of Harvard Medical School. During the course of the more than 2 years of this fellowship, his work led to 7 publications in peer reviewed journals, in addition to various oral and poster presentations at International level meetings. He was awarded the RSNA Roentgen Resident/Fellow research Award in 2008 and the Morrison Research Award in 2005. Dr. Sabir is a member of professional Radiology societies including the Radiological Society of North America (RSNA), American College of Radiology (ACR), and the American Society of Neuroradiology (ASNR). In his free time he enjoys swimming, tennis, movies, and spending time with family.